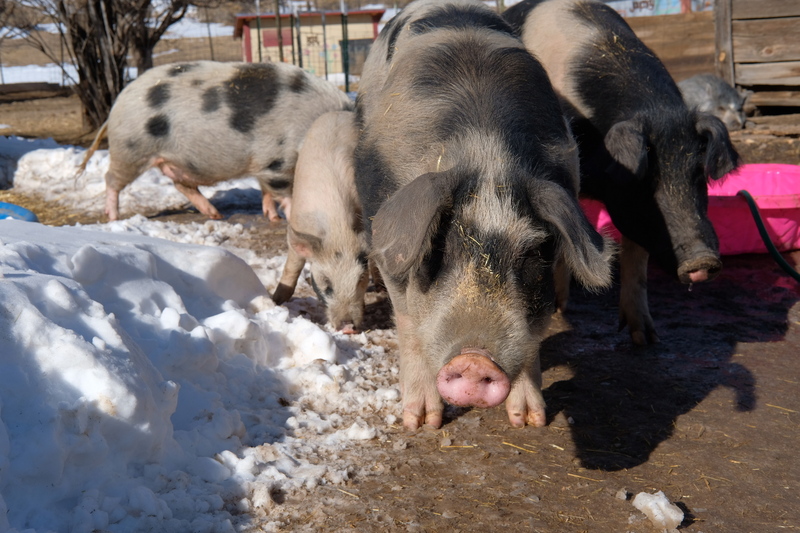 On April 18, 2019, executive director Erin Brinkley-Burgardt presented to Colorado legislators the plight of pet pigs. 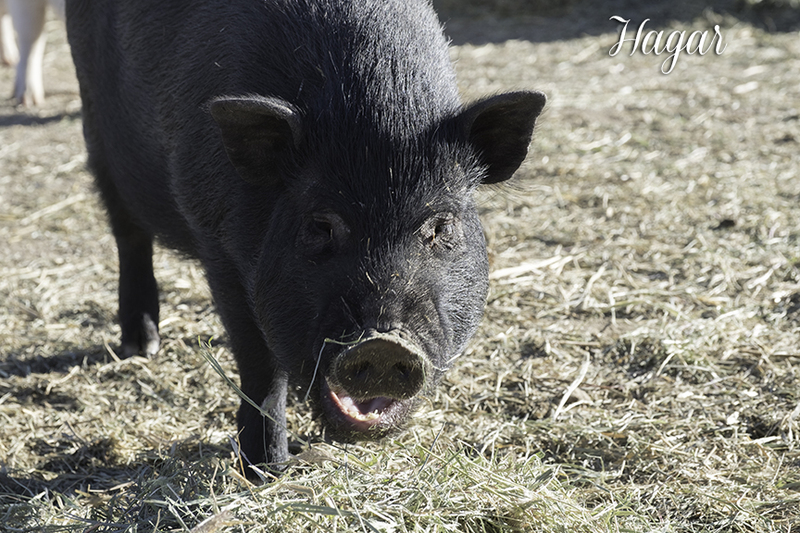 Learn more about Hog Haven Farm began, why there is an overwhelming need for rescue, and how you can help. 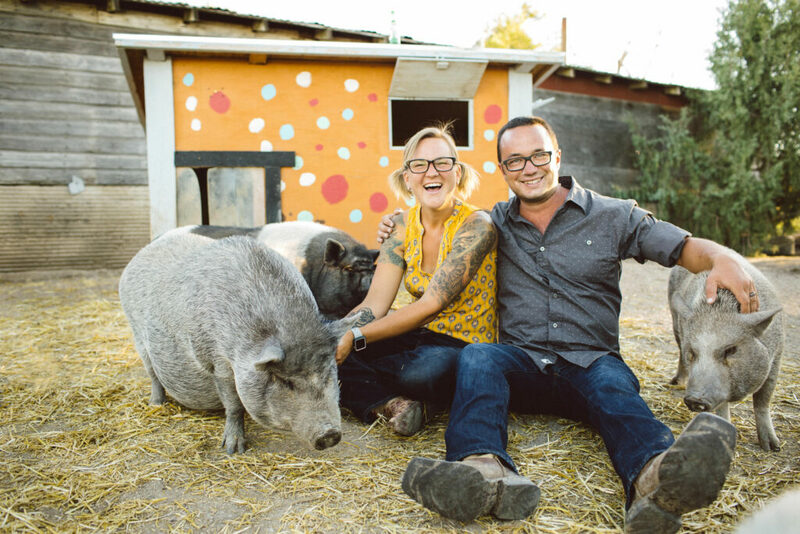 Founded in August 2014, Hog Haven Farm was conceived from my childhood love of pigs, and from an incredible bond I formed with my first pet pig, Pipsqueak. 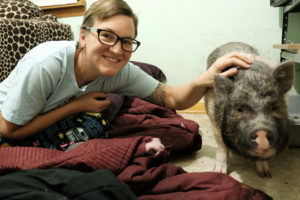 After bringing Pippy home in 2013, and becoming active in Facebook communities for pet pigs, my husband Andrew and I became aware of the national plight of pet pigs, and decided to take action. Thinking our rescue goals would take 5 years to take off, we were blown away when Hog Haven Farm grew within 6 months. In the last 3 years, we have moved twice to accommodate the growing demand of rescue, and are now located on 40 beautiful acres east of Denver. 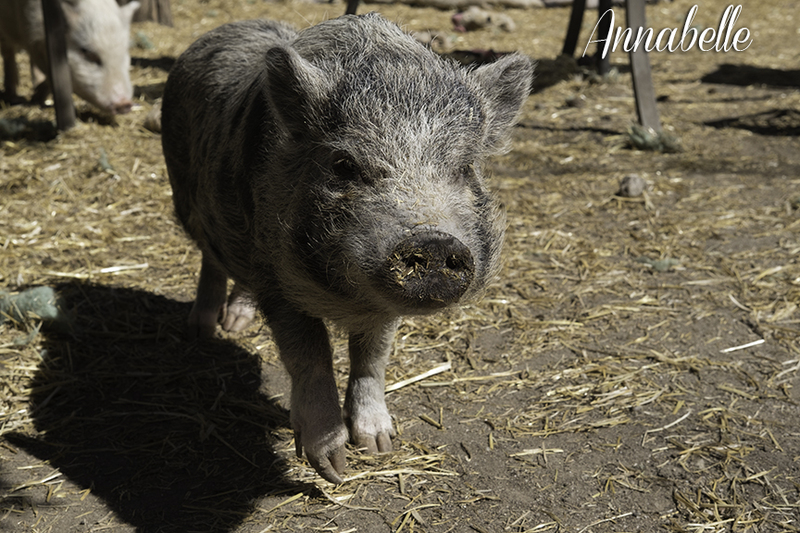 We rescue pigs from situations of abandonment, abuse, neglect, and from slaughter. 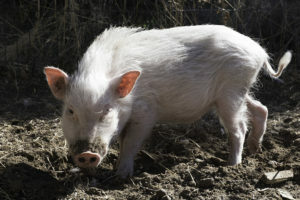 Hog Haven Farm is currently home to 98 pigs, 7 equine, 1 dog and 4 cats. Of these 98, 80 are potbellied and 18 are standard or mixed breeds. In the 4.5 years we’ve operated, we have rescued nearly 190 pigs, with our intake doubling in 2017 when we were able to expand. 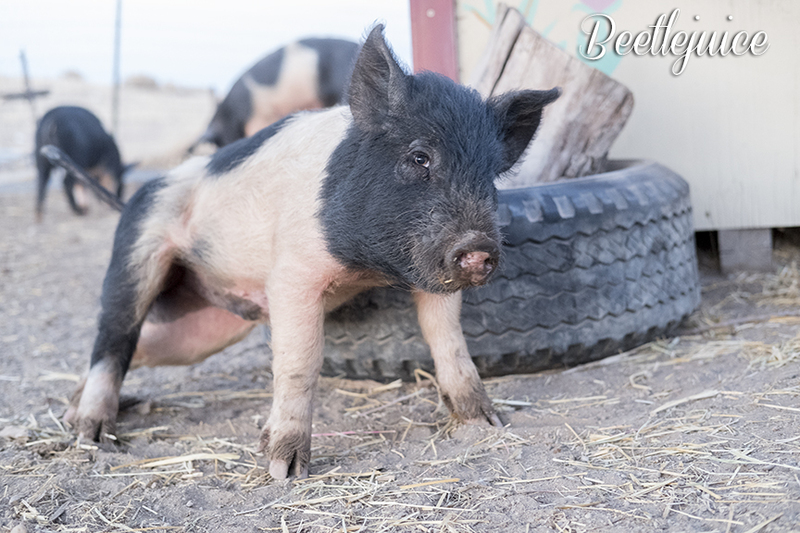 Since founding, we have been able to adopt more than 80 potbellies to forever homes, and network other pigs in need to find sanctuary or permanent homes. Sadly, only 2-5% of all pet pigs remain in one home during the course of their long lives, a 20-year average. One primary factor contributing to abandoned pigs relates to breeding practices. Because pig breeding is not regulated by the USDA or PACFA, false claims can be made to sell more piglets without consequence. Additionally, there are an estimated 500,000 pet pigs in the United States, so you can imagine why the retention rate of pet pigs is so alarming. The terms “teacup, “micro-mini,” and others were coined by breeders to sell more piglets. 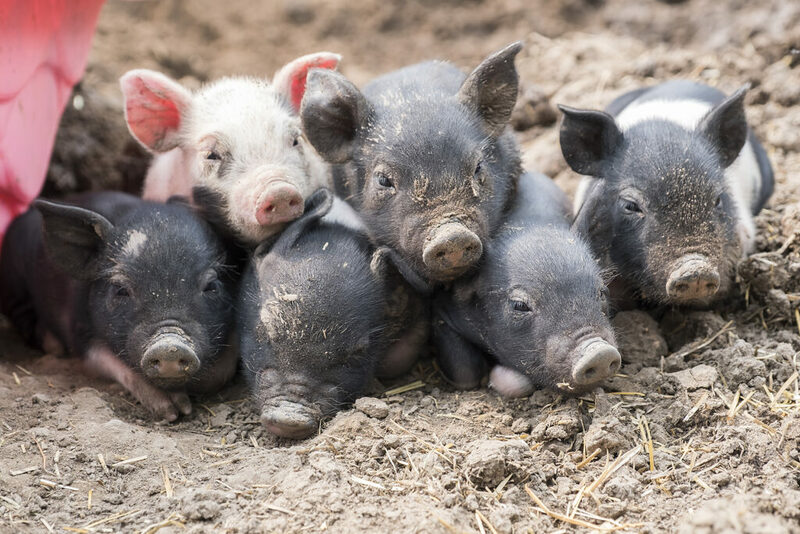 No matter the breed, all piglets are typically less than a pound at birth, and the overwhelming cuteness of these babies draws a lot of attention. The myths about these tiny pigs include many alarming details; breeders will claim that teacup pigs reach a mere 25-40lbs at maturity. 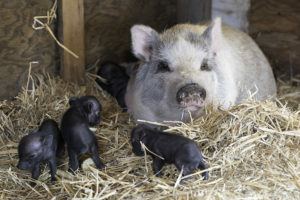 Additionally, many breeders suggest highly restrictive diets to keep these pigs small, or essentially advising their clients to starve the pig. Many breeders also welcome clients to meet the breeding parents, suggesting that the piglet will only grow as large as mom or dad. The truth behind these myths is widely available to anyone performing a simple Google search. “Teacup” and other such breeds are merely potbellied pigs, who grow anywhere from 70 to 250lbs. The term “mini pig” is also misleading, as it refers to any breed of pig 300lbs or less. Compared to standard breeds, 300lbs is quite small! Females come of breeding age at 4 months old, and often, the breeding parents at breeders are just babies themselves. Because pigs don’t complete their growth for 4-5 years, meeting breeding pairs who are younger than that do not give an accurate size reference. Additionally, not all pigs will be the same size as their parents; just like human children, there is no guarantee that they will fit in a certain growth percentage! Another contributing factor to unwanted pet pigs is zoning regulations and restrictions. 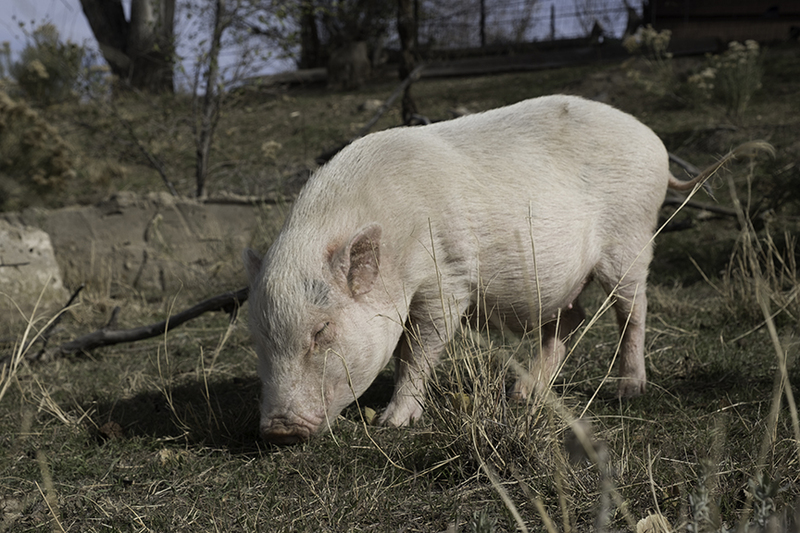 In Colorado, some of the current cities with bans on pet pigs are Aurora, Loveland and Castle Rock. When people are caught illegally keeping a pig, the animal is either seized or the owner is given up to 30 days to remove it. 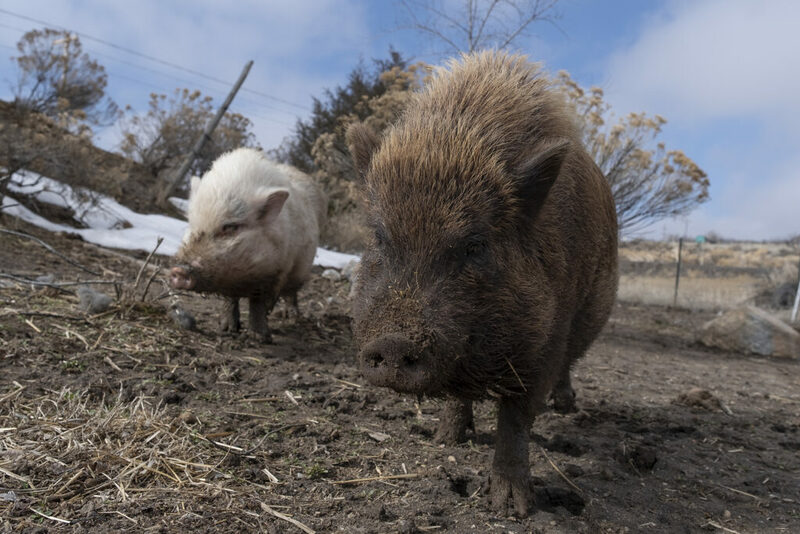 Hog Haven Farm has received many calls from Aurora and Castle Rock, from both animal control and private owners, asking that we remove the pig. In addition to bans on pigs, other jurisdictions have unrealistic weight restrictions for pet pigs. While potbellies can be as small as 70lbs, the more common range, in our experience, is 100 to 180lbs at adulthood. It is our opinion that, if potbellies are permitted as pets, the weight restriction should be removed all together, or should be at the high end of the range—250lbs. Most jurisdictions that allow pigs as pets do not have licensing or neuter/spay policies in place. This contributes to backyard breeding, which is banned for other types of domesticated animals. Because of the lack of licensing and altering policies, about 50% of the incoming pigs at Hog Haven Farm are intact, and are rarely up to date on necessary vaccines, such as dewormer. 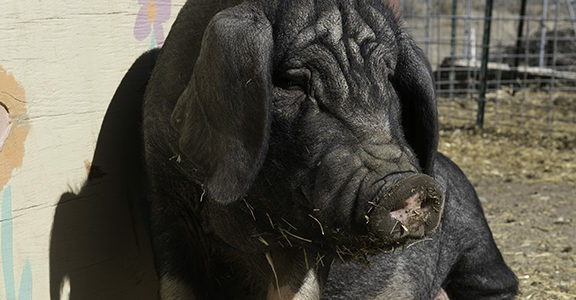 While pigs do make wonderful companion animals, they often do not do well in homes with other pets—primarily dogs. Because pigs and dogs have different methods of communication, they can become a danger to one another. Inherently, pigs are prey and dogs are predators; due to no fault of either animal, the result of their inability to communicate can lead to traumatic, and often lethal, results for the pig. That being said, pigs do coexist well with other species, including cats, goats, and other “farmed” animals. One of the reasons I am so drawn to pigs is their sentience. Pigs are social animals with a herd mentality, and form strong bonds with their companions—they crave affection and attention. Ranked the fourth smartest mammal, pigs reach the intelligence of a 4year old human. Like elephants, pigs’ emotional intelligence is comparable to our own human experience—they understand joy, love, and happiness, but also deeply feel sadness, loss, grief, pain, and fear. When pigs lose their companions, they can, and often will, cry real tears and suffer from depression, just as we humans do. Pigs use more than 20 sounds to communicate; when they are happy to see their companions, they hot pant to express affection. As intelligent animals, pigs are natural problem solvers—they are curious and food motivated, so learning to bust out of their pen or break into the refrigerator inside the house are mild inconveniences. More so than other domesticated animals, pigs appreciate human companionship, and love to cuddle or be around their people. As such, we advocate for a compassionate, plant-based diet. 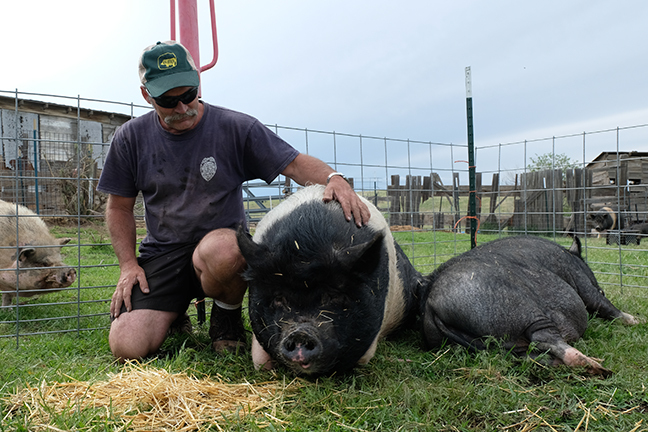 Operating a pig rescue has its limitations. Pigs are dominant creatures, and will physically fight one another when meeting for the first time, so there is a process to integrate new pigs. As many of our intakes have not been vaccinated, and parasites can affect our entire herd, we have a quarantine procedure that lasts anywhere from 30 to 60 days. Many of the inbound females are not spayed, and the procedure, while necessary, is quite expensive. Current demand averages eight surrender requests for every one pig we adopt out. In 2019, we have rescued 12 pigs and adopted 8, but have a current waitlist of 5. We have had to say ‘no’ to more than 40 unwanted pets as well. Our average annual adoption rate is only about 20%, and that further limits the number of new pigs we can rescue. To combat the overwhelming plight of unwanted pigs, we have several ongoing objectives. 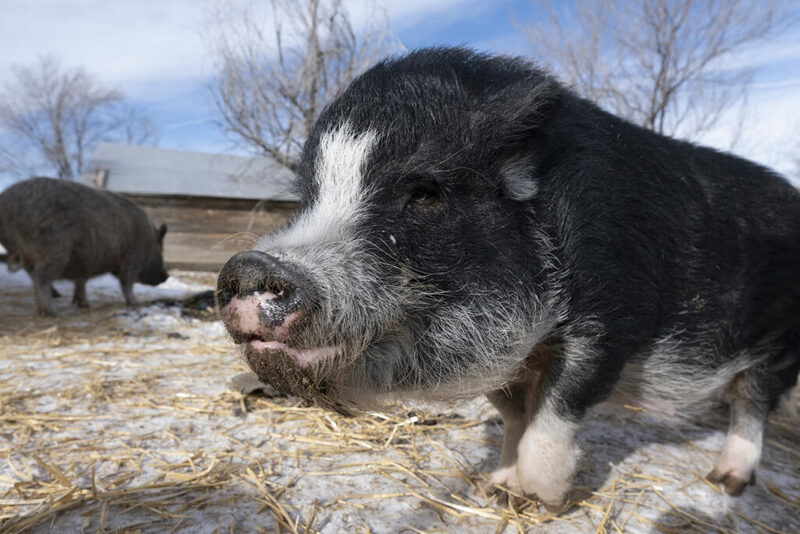 The first objective is to work directly with animal control units across the Denver-metro, for training purposes or to place abandoned, abused and neglected pigs. We also work directly with many animal shelters that are not equipped to handle pigs; some of the shelters we work with are partnered with animal control units, and we have been able to save many pigs from hoarding and neglect cases because of this relationship. 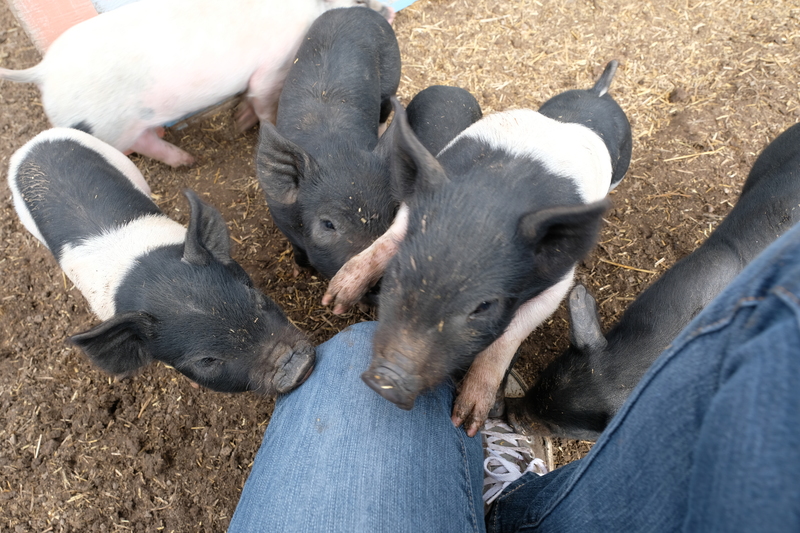 Hog Haven Farm also strives to educate the general public about pigs as creatures and as pets, to break the myths breeders have created and allow people a chance to interact with our rescued pigs. We are very active on social media, with the goal of teaching people about these amazing creatures. We currently have 7 pigs trained as therapy pets, and will bring them to fundraising events, as well as to schools, assisted living and nursing homes. Our last objective is where we need your help! We are seeking change for breeding regulations and zoning restrictions across Colorado and ultimately nationwide. Without your help, and without our ability to educate the general public, the epidemic of unwanted pet pigs will only worsen. You can become involved by sharing this truth, reaching out to your local lawmakers and demanding change, and by choosing to adopt your companions, rather than supporting breeders. Only through education can we demand change! To watch the full video of Erin’s presentation, please visit our Facebook page. 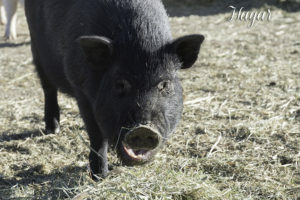 Welcome to the official Hog Haven Farm blog! Check out more of our current residents (as of March 2018). A few days ago, we shared pictures and information on 20 of our piggy family members, names A through F–today, learn about piggies name H through L! 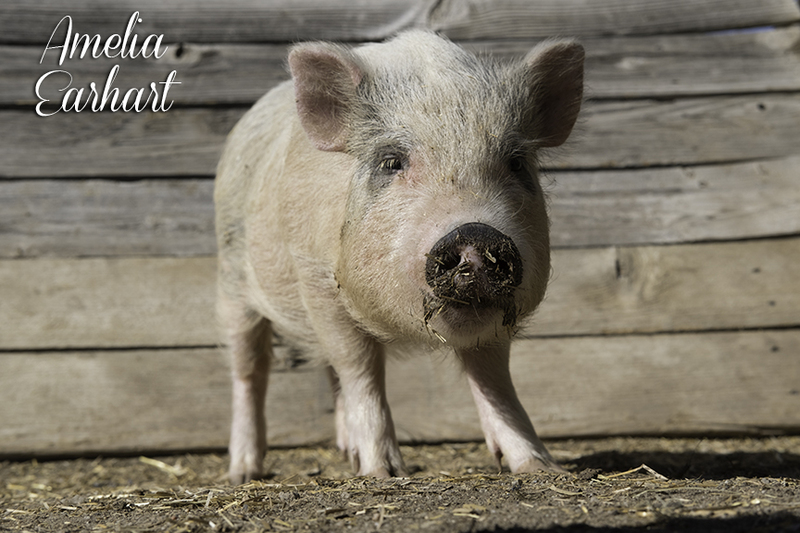 Hagar is one of six pigs who came from a hoarding situation in April 2017, and is named for musician Sammy Hagar. Though very timid upon arrival, Hagar is slowly building trust with people, and will be adoptable soon! 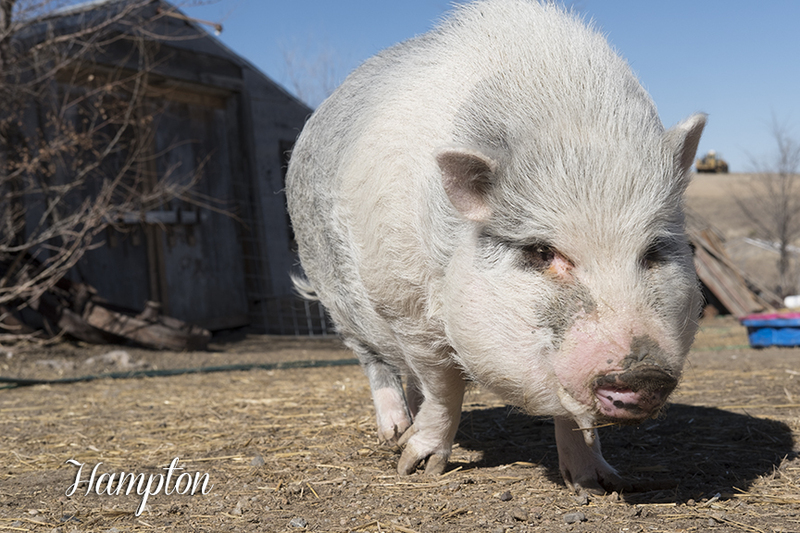 Hampton is a sweet, timid young potbelly who arrived at the sanctuary in February 2018. While he currently stays alone, he is slowly making friends with our Yorkshire, Lola, and potbellies Marvin and Walter! Harley was an owner surrender in September 2015. 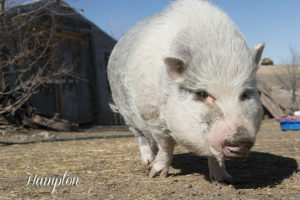 This handsome boy is one of our larger potbelly residents, but is so affectionate! He lives in our main pen with best pals Journey, Cupid and Bentley. 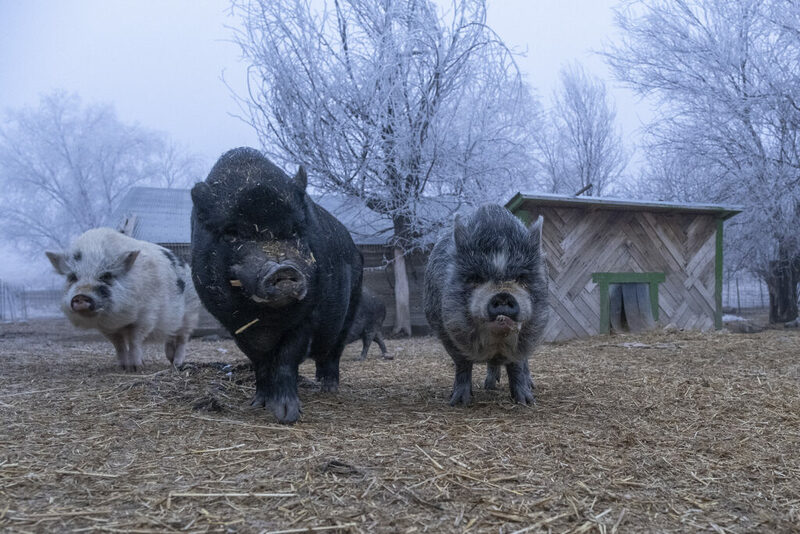 As of March 2018, Hog Haven Farm has 85 piggies in its family–of these, 77 are residents, and 8 are boarding with us. Check out the adorable pictures and brief bios about some of our piggy family below (this is the first post of several)! Amelia Earhart was born at the sanctuary to Delilah in July 2017. She has been adventurous and curious since birth! Annabelle was an owner surrender in January 2017. This sweet lady is one of our smaller adult residents, and enjoys hanging with her pals Oscar, Peter and Phoebe! Beetlejuice, Beetlejuice, Beetlejuice!! This handsome Hampshire was born at the sanctuary to mama Journey in August 2017, and is so full of life and personality! 2018 has been a busy year already! We kicked off January with a trip to Wichita, Kansas, to pick up a stray Spotted breed set to be euthanized. Henry, a young, gentle, 260lb pig was a stray taken to a shelter. Given his breed and size, he was not an adoption candidate, and faced a terrible fate. We welcomed him to our pig family, and drove the 16 hours round trip to bring him to his new life! Henry making friends in our main pen! The end of January brought us five adorable 4-5mo old piglets. These sweet babies were never socialized, never named–and were going to be sold at auction. Part of a collaborative rescue effort with Broken Shovels Farm Sanctuary and Rescued Friends Animal Sanctuary, a total of 17 pigs were in need, and every single one needed to be spayed or neutered. We welcomed home Fiona, Ferdinand, Duke, Pigger Allan Poe, and Kramer, and they were all taken in for neuter/spay surgery on 2/8! In 2017, Hog Haven Farm brought in a total of 40 rescued pigs, and 19 piglets were born at the sanctuary to 3 different pigs. Here’s an end-of-year status update on these pigs! Of the 40 rescued pigs, 8 found their forever homes: Alvin, Boots, Charlie, Kevin the KuneKune, Kevin the potbelly, Moo, Otto, and Pepper! In addition to these 8, another 15 pigs found their forever homes in 2017. 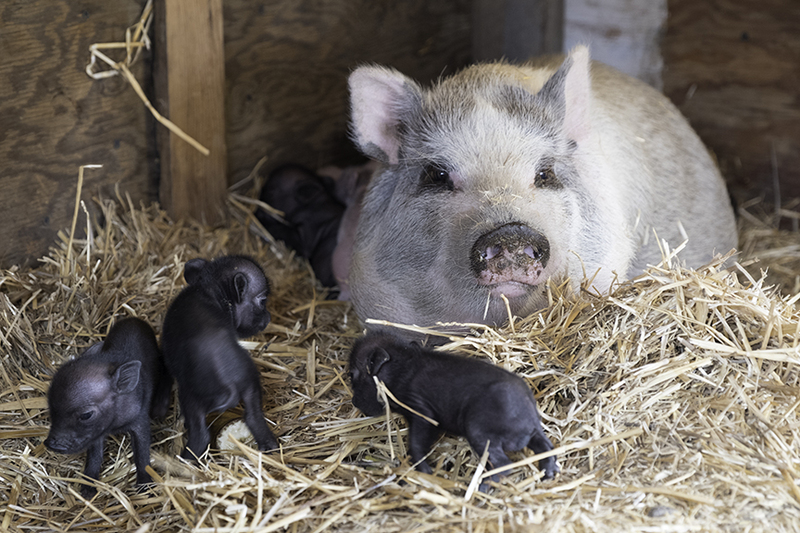 Of the 19 piglets born at Hog Haven Farm in 2017, 6 found their forever homes; Mama’s babies Junior and Patty, and Delilah’s babies Stewie, Lemmy, Chester and Roscoe were all adopted. A total of 23 pigs found their forever homes in 2017! If you’ve been following Hog Haven Farm throughout the year, you may recall a few of the sadder rescue stories. 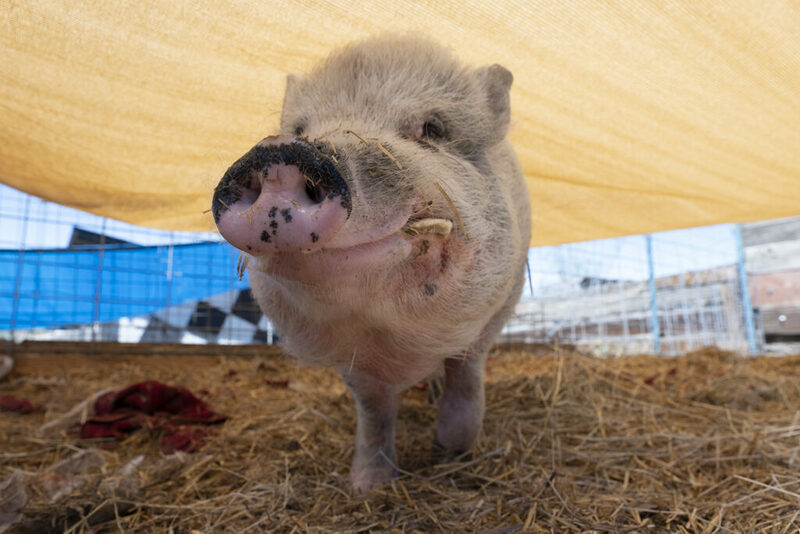 In March, we brought in a malnourished pig named Phil; while his former family didn’t intentionally cause him harm, and he was loved and happy, Phil was on an improper diet for his age and was significantly underweight. Check out the before and after photos of Phil, from March until now! In April, we rescued 6 siblings from a terrible hoarding situation: Delilah, Zara, and their brothers Brindle, Hagar, Leo and Paxton. Delilah was pregnant at time of rescue, and delivered 9 babies in late July; sadly, one didn’t make it, but the other 8 were very healthy! All four boys were neutered late summer, and the girls will spayed early 2018. We’ve been working hard to socialize this group, and slowly seeing some results. Zara was injured at time of rescue, with an odd, jagged scar running from her forehead to her tail, with open sores along her back. While her back is covered heavily in scar tissue, she has grown hair and healed very well. Her skin is still pretty dry, but compared to April, she’s a whole new pig! She also got a trip to the human house for a few days over Christmas, where she really warmed up to pets from Erin. Zara getting some love from Erin! We are closing 2017 with 84 pigs (8 of whom are boarding with us). Many of our piggies are still looking for their forever homes! 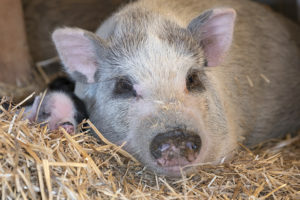 If you think you’re ready to be a pig parent, please visit this link. Are you looking for year-end charitable giving options? Please consider a tax-deductible donation to Hog Haven Farm! Hog Haven Farm does not encourage breeding, and do our best to avoid litters of piglets born on our watch. However, pigs (and animals in general) are driven by instinct, and last May, our sweet troublemaker Dug figured out how to escape his pen. We spent a stressful day fixing fences, installing electric wire in two new areas, and keeping unaltered pigs contained to their respective pens. Since Dug was loose, and in contact with intact females, we discussed options with our vet to avoid pregnancy, and purchased emergency contraceptive for several females. With a high demand for rescues, avoiding new litters of piglets is advisable, so we don’t contribute to the problem of so many unwanted pigs. One of our females ended up pregnant, even after emergency contraceptive. We didn’t realize her pregnancy until about 2 weeks before her due date (which we were able to calculate from our expenses to fix fencing). 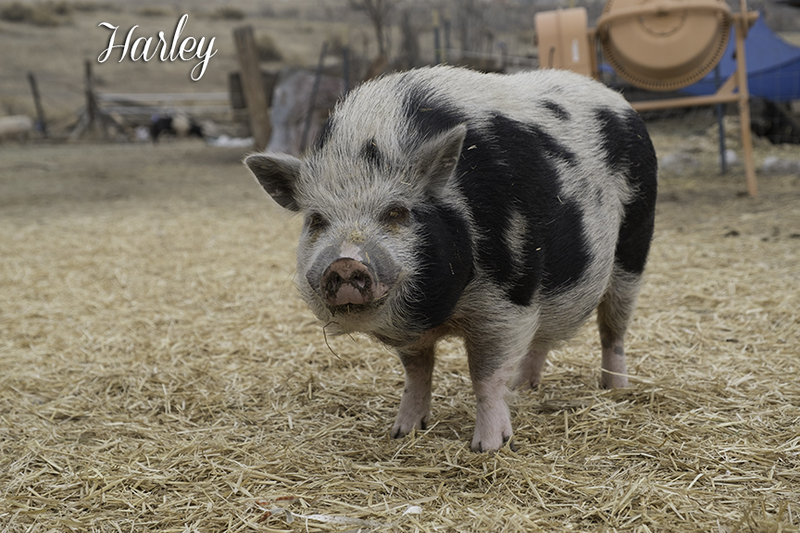 Of all the pigs to become pregnant, it was our Hampshire, Journey; this means adopting out her babies is not an option, because she is 400lbs at 2yrs, and Dug, a Hampshire/potbelly, is over 300lbs at about the same age. 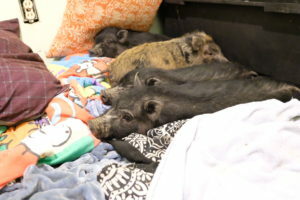 We welcomed a litter of 6 healthy piglets on 8/31, the same day (ironically) that Dug was neutered. Journey gave birth to two girls, Infinity and Maple, and four boys, Bowie, Prince, Beetlejuice, and Timon. 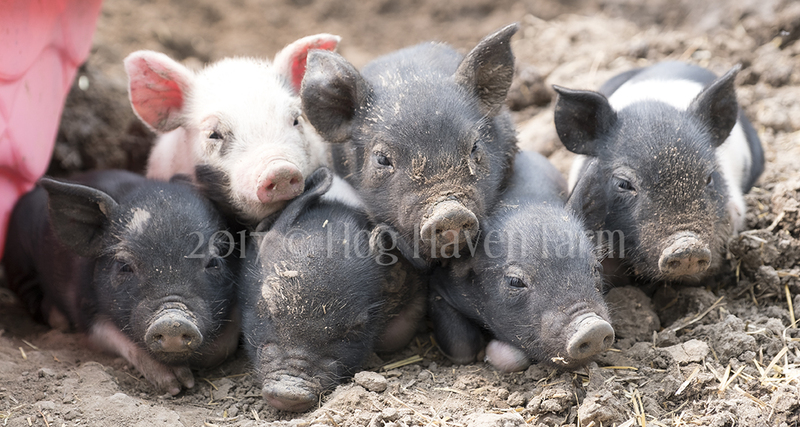 These piglets are 3/4 Hampshire, 1/4 potbelly from our best guess, and were so vibrant within hours of birth. They began exploring outside almost immediately, and within a week, were playing in the mud and eating solid food with their mom. These piglets are so incredibly sweet and curious–more so than any of the piglets born at Hog Haven Farm from pregnant rescues. When strangers approach the pen, these piglets are immediately at the fence to sniff and nibble fingers. They love to play and run around, chew on clothing, and climb all over whomever will sit in the pen with them. Journey started weaning the piglets at 5 weeks. They are 6 weeks old today, and we let Journey out during the day, but back in with the piglets at night. They still nurse periodically, but have been eating pellets for weeks, so they are fine to be without mama now; she is happy to be out and about during the day with her friends. We would like to have Journey spayed by the year’s end; the cost of her spay has been estimated at a minimum of $800, given her size. 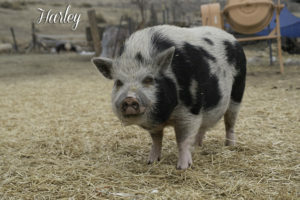 Including Journey and her piglets, we currently have 5 unaltered males and 13 intact females left. Nearly 30 spay and neuter procedures have been done this year alone, and our new policy is to not accept unaltered pigs (unless it’s an emergency). On average, neuters cost $130-150, and spays start at $250, but average cost is $400. Spays are a more intensive procedure, and cost varies by size of the pig. If you’d like to help support our neuter and spay program, please consider a one-time or recurring donation. You can also call our vet and have a credit put on our account, under Andrew and Erin Burgardt. Not only do these procedures eliminate unwanted pregnancies, they help avoid behavioral issues (escaping/damaging pens, aggression) and promote healthy females. Intact females can suffer from uterine tumors later in life, and much shorter life spans than if they are spayed. Ideally, neutering and spaying at an early age is best, but quite a few of our females came to us intact and older. Two need to lose weight before they can be considered for surgery, but we are trying our best to take care of these procedures as funding allows. Is pig adoption right for you? Undoubtedly, piglets are one of the cutest, cuddliest creatures on this earth. The wagging little tails, cute snouts, and fast movements (we call it the zoomies) make them a desirable pet. But, unfortunately, there is an epidemic in the United States with unwanted pet pigs. Researching pig parenting prior to adopting a pig is crucial. Pigs are smart–the fourth smartest mammal, in fact. This can be good and bad! Intelligence means that pigs can be easy to train as house pigs–they will learn to use a litter box, pee pads, doggy door, or have other ways to let you know when they need to potty (like ringing a bell at your back door). They are clean animals, and do not like to defecate anywhere near their food or bedding. But they can learn undesirable behaviors, too–like opening your cabinets and refrigerator, knocking over the kitchen trash, and pulling your bedding down to make their own sleep spot. Having a pig as a pet is rewarding, but they come with their own quirks. Understanding their behavior is important; they are not like dogs, as many people like to assume. Pigs really are more like perpetual human toddlers; they have temper tantrums, attitudes, and will repeatedly push your buttons as they test boundaries. Pigs need adequate space outside. As grazing animals, they like to munch on grass, dandelions, and other greens outside. They also having natural behaviors, like rooting, that are important to their psyche. While you don’t need a massive amount of land, having an outside area is critical. You can create a rooting area for a pig, so it won’t destroy your entire yard with it’s curious snout, but they do not do well cooped indoors all of the time. Pigs do not sweat. They need an area to cool off outside, like a kiddie pool or even a mud hole, and need access to fresh water 24/7. A pig is a routine-driven creature. They like to have their meals at the same time every day, and will let you know (loudly) if you deviate from their schedule. Like deviate by minutes. If you can’t stick to a routine, a pig is not a good pet for you. Pigs need companionship and attention. They love to have their tummies scratched, and to snuggle with you. They are not a good pet to keep if you work long hours and therefore can’t provide attention and companionship. Pigs can coexist with other animals, but are not a good combination with dogs. But there are so many cute dog and pig videos on Instagram! We cringe every time we see these videos. While dogs and pigs can coexist, they do not understand each other. Instinctually, dogs are predators and pigs are prey. 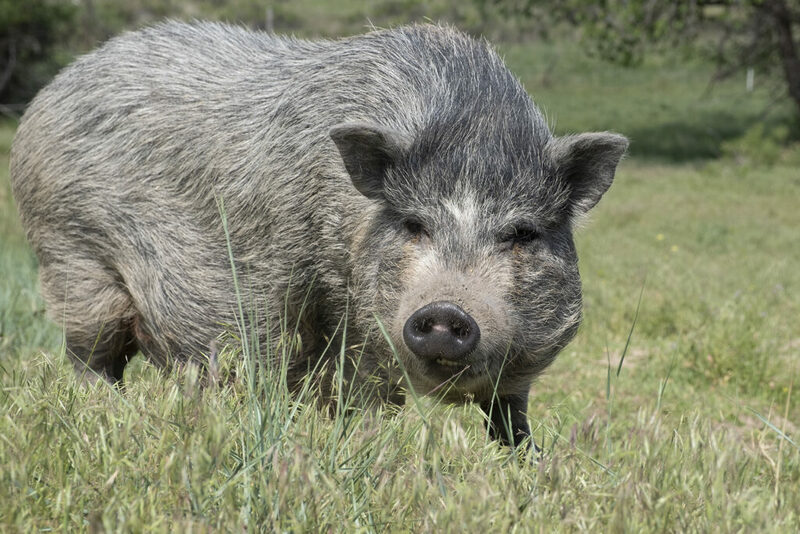 Normal pig behaviors, like squealing or running, may trigger the predator instinct in your loving family dog, and that’s it–the pig has no way to defend itself from the attack. Pigs and dogs must only interact under strict supervision, and never be left alone together. Pigs are dominant animals, and will try to be alpha in your household. If not properly trained, a dominant pig can be aggressive (especially to house guests and strangers), and become rude when they want something. You must learn dominance training to be alpha to your pet pig, otherwise, they will not be a fun family addition. There is no such thing as a teacup pig. Yes, mini pigs are real–they are also referred to as potbellied pigs, Juliana pigs, micro-mini pigs, etc. But these labels are not a breed of pig–they exist for breeders to sell more piglets. Mini pigs range in size from 70lbs at the extreme low end to 250lbs at the high end, but in our experience, many of these minis stay in the 100-170lb range. Do not get a pig if you cannot handle the extreme high end of size. Much like humans, you will not know, even from seeing the parents, how big the piglet is going to be at adulthood. They grow until they are 5 years old, although the skeletal structure stops growing around 3 years. Want to know the size before you commit? Please, please consider adopting an older pig. There are so many of them in need of a forever home, and you won’t have to worry about size if you choose one who is already done growing. Adults also have established behaviors, and are much easier to work with! Pigs are a lifetime commitment. They bond very closely with their people, and they grieve when they are separated. They will cry real tears when surrendered to a shelter, or sanctuary, or even a new home. Pigs live 15-25 years, so be prepared for the commitment. Do you rent your home? Wait until you’re a homeowner before committing to a pet pig. PLEASE. Many landlords will not accept pet pigs in rental properties, and it is totally unfair (and selfish of you) to bring home a pet you may not be able to keep. Renting is not stable–you may move once in ten years, every year, every couple of years….change is stressful to piggies, and if you have to move, there is no guarantee your pig can come with you. So please, if you rent, just don’t go there. Ensure your new piggy is spayed or neutered! Unspayed females have a heat cycle every 3 weeks, which leads to aggression and bad moods, and simply, not a fun pet to have around. Additionally, females can develop uterine tumors or cancer later in life, so making sure they are spayed leads to a longer, healthier life. Unneutered males will attempt to break out of fencing and enclosures, and will mount everything and anything they can. Ready to adopt? Please fill out an adoption application to start the process. Since we are a rescue/sanctuary, we want what is best for the pig. It takes a bit of time to adopt through us, but if you’re ready and willing, it is worth the extra effort! Summer time is usually a time for fun–backyard parties, time spent with family and friends, fireworks, and baseball keep everyone busy and active outside. 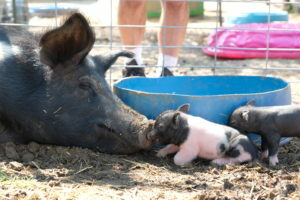 At Hog Haven Farm, our summer season kicked off with new rescues and more pigs with special needs. Hog Haven Farm happily welcomed new senior citizen residents Dottie and Stewart at the end of May. These two pigs are now our oldest residents, at 15 and 13 years old, and are also larger pigs. 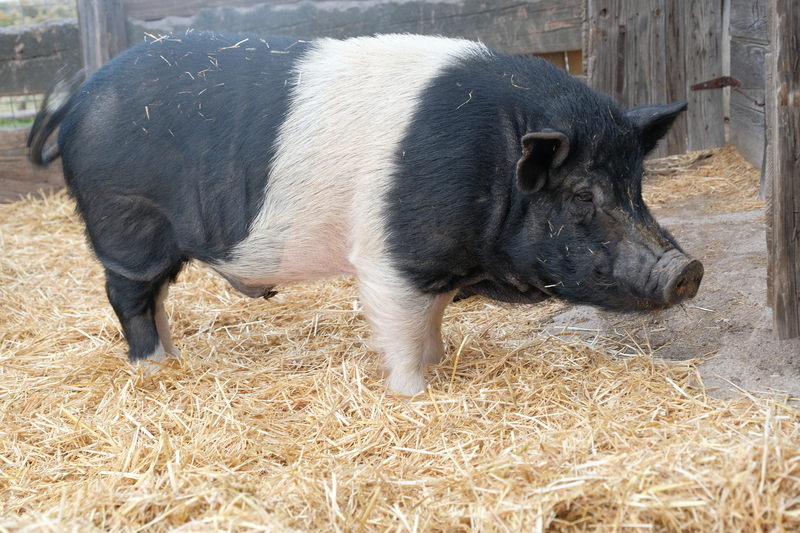 Dottie is most likely a Hampshire-Potbelly cross, and weighs in around 450-500lbs. Stewart is a larger potbelly, easily over 350lbs. 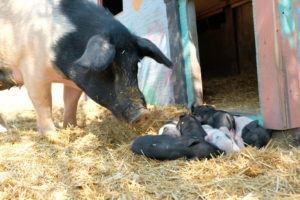 April has proven to be a very busy month at Hog Haven Farm! 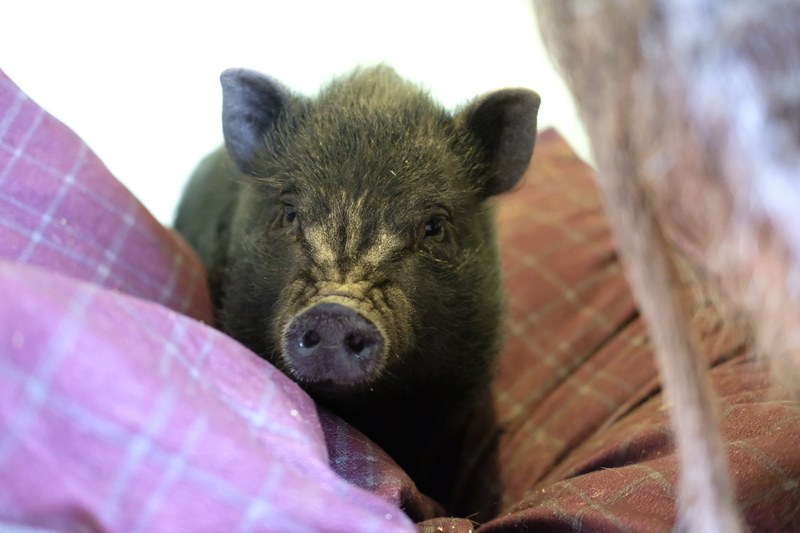 We’ve seen our highest volume of rescued pigs, including two Kunekune breeds. 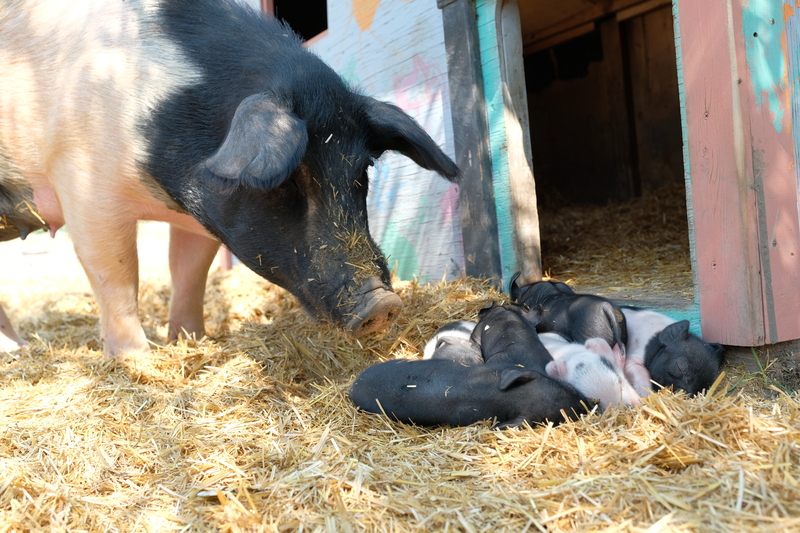 Additionally, one of our rescued pigs gave birth two six healthy piglets on Easter Sunday! Debbie, our vet tech, loving on one of the babies!